The light-duty traction batteries are designed to service electric motors, which require constant and long-lasting power. They are made with thickerplates to ensure better performance in terms of both deep discharge and cycles. Available with flat plates, these are the best option for multiple uses requiring a high number of charges and discharges. These accumulators are assembled with various types of separators. 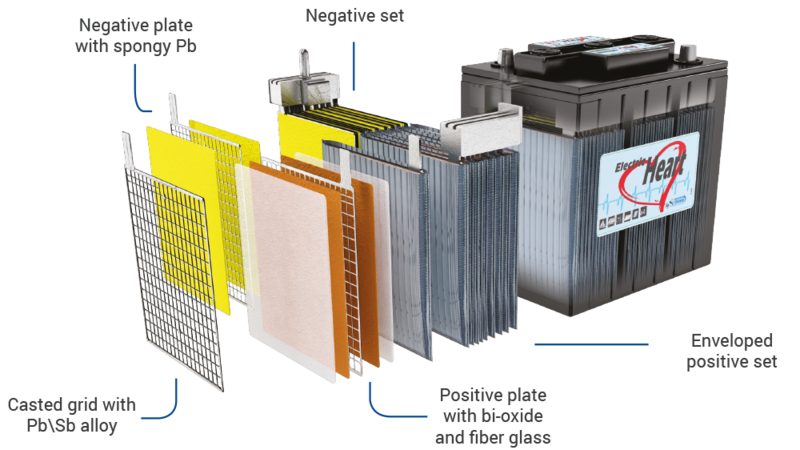 They range from the classic polyethylene material connected to fibreglass, which allows longer adhesion of the active material to the grid, through to the rubber that allows high current delivery capacity.